You may have had a moment in your life where you looked at yourself in the mirror – probably under some harsh fluorescent lights – and felt horrified at the seemingly endless wrinkles or dry spots. It’s enough to make anyone feel old and past their prime! But don’t judge yourself too harshly just yet – what most people don’t know is that many of the signs of aging we see are actually not that at all. They’re simply symptoms of unhealthy skin, the most common of which are dehydrated or sun-damaged skin. 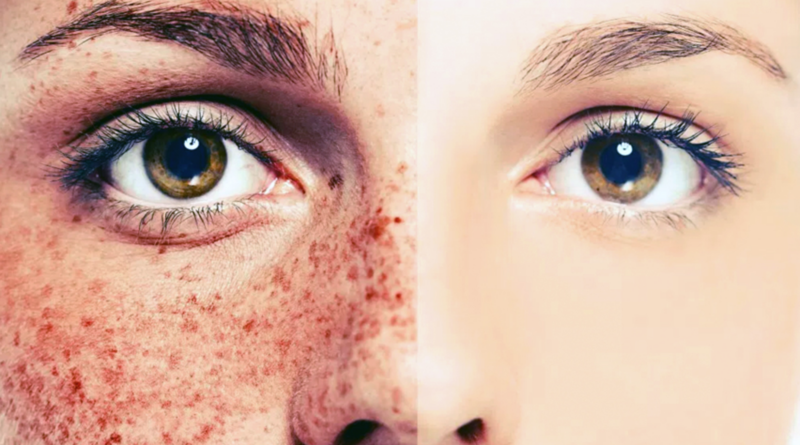 Sun damage on your skin is hard to avoid, but it can add up and it has a cumulatively bad effect. The UV rays found in direct sunlight can burn the outer layers of your skin, and even small amounts will prematurely “age” and damage the cells. UVB rays are what tans (and burns) our skin while the UVA rays penetrate the dermis layer and damage the skin. This damage is not noticeable until years later. Many people don’t know that sunscreen actually has beneficial effects in the winter, even though less skin is exposed. The sun is no less powerful in the winter sky, and in fact, the reflecting sunlight off white snow can increase UV exposure, making it potentially worse for your skin than a hot summer day. If you’re really serious about keeping your skin fresh, youthful, and wrinkle-free, be sure to put some sunscreen on your face, hands, neck, or anywhere else that will be open to the air before you head outside. You can find more information in our sunscreen blog. If you’re noticing sunspots, early signs of aging, or wrinkles and lines, don’t worry – not all hope is lost! Here at Phamtastic Spa Escape in Calgary we have several options to choose from to help your skin recover and rejuvenate back to its younger self. We offer various creams, serums, and lotions that are specifically designed with nourishing formulas to combat the signs of sun damage. Beyond that, we also have a selection of facials and treatments that can get your skin looking its best. The various treatments are designed to address the various needs and causes of premature aging. Our Sea C Spa Facial is one of our several specialized facials and is based on new research that uses marine and vegetal ingredients, is a powerful age-defying treatment that targets wrinkles and lines, making your face look more youthful for weeks after you leave our clinic. It gives you plenty of Vitamin C, minerals, hydration, and other compounds, and is just what you need after harsh sun exposure in any season. For something a little different, check out what our IPL system can do. Usually used to remove unwanted hair, it can also treat sun spots – erasing them in as little as one treatment – or to smooth out wrinkles that result from excessive sun damage. With the amount of options you have available, there’s bound to be something that will work for you. If you feel like you’re stuck suffering the esthetic effects of sun damage to your skin, remember that we are here to help! Come visit Phamtastic Spa Escape in downtown Calgary today for your sun damage treatment, and check out some of our monthly specials too. From massage therapy to waxing, facials to manicures, and much more, walking through our doors will be the first step to feeling – and looking – great!